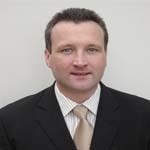 With 25 years experience in the foodservice industry, Brendan heads up Flagship Europe’s’ technical department. His background includes nine years as Technical Manager for Global Food Trading, as well as Meat Inspector and an Environmental Health Technician. He is qualified to audit to BRC Food Standard and ISO9000 system. Established in 1991, Flagship Europe is a respected name in the industry, with a prestigious customer base including key players across all sectors of the foodservice industry. Driven by a passion for food, the team works closely with customers to create menu solutions. Atlantic Foods offers a wide range of branded and bespoke solutions including value added chicken and red meat, sauces, fish and mini desserts, all of the highest quality and developed specifically for the foodservice market. The recent acquisition of Oasis Foods, will ensure continued growth and market penetration.